When it comes to lapel pins, medals and challenge coins, our selection is beyond comprehension. 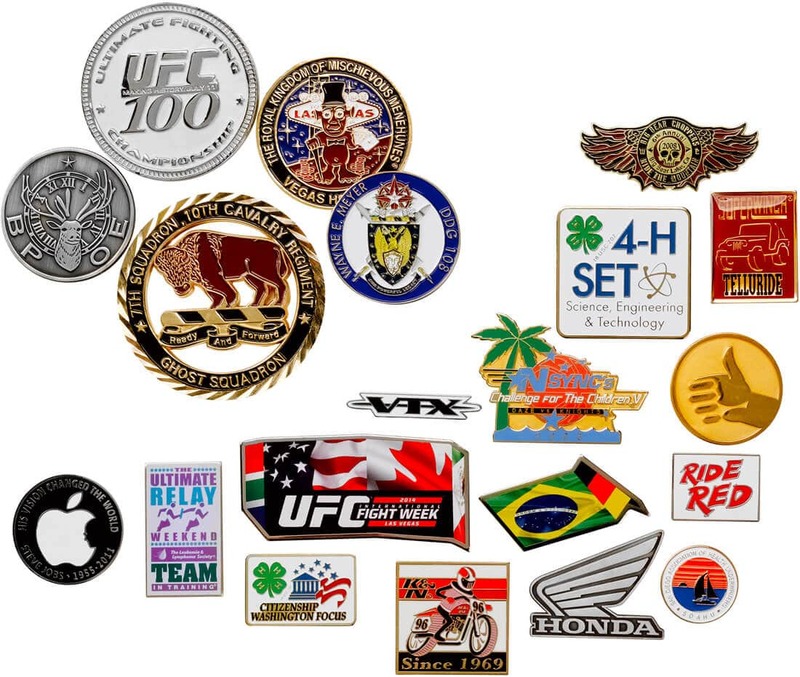 At Pacific Sportswear, we know lapel pins and offer Genuine Cloisonne, Semi-Cloisonne, photo etched, stamped, silkscreened, fully printed, and die struck pin processes. With competition the way it is today, we know you demand low price, quality, and on time. Take our pin program for a test drive…you’ll be glad you did. Minimums: 300 lapel pins. 100 coins. Enter in your product information below, and we will have a quote for Lapel Pins & Coins to you within 24 hours. It's that simple! Quantity * Minimum of 300 lapel pins, 100 coins.